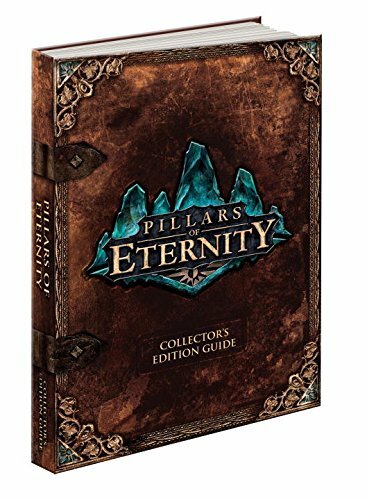 Amazon has put up the preorder page for Pillars of Eternity Collector’s Edition Guide, providing some details on what will be included. The book, which can be preordered from the retailer with this link, has 400 pages and is being published by Prima Games. Its ISBN-10 is 1101898232 while the ISBN-13 is 978-1101898239. Check out the cover design of the Pillars of Eternity guide below this paragraph. The 400-page book will cover the main quest, providing tips for the achievements, boss battles, conversation choices, critical paths, puzzles and side quests. In terms of building your character, you are going to learn about how to distribute your skill points, crafting and selecting your party members. Also included is an armory and bestiary list in addition to maps that show off the important locations of the world, pointing out the hot spots for non-playable characters, collectibles, quests, secrets, treasures and more. Lastly, a special “Thank You” section, listing the names of over 4,000 donators who backed the Kickstarter project, is also a part of the book. The Pillars of Eternity: Prima Official Game Guide is releasing on March 26 and will only be printed once. So make sure to purchase it as soon as possible if you are interested.